As you start driving down the Malshej Ghat, what comes into the view is a small set of what seems like huts. Move closer and you'll see this gorgeous resort, Saj By The Lake. With a garden at the front that leads you to the reception that's got swings and all that you would need to go back to your childhood days and relive the golden time. There are three categories of rooms - corridor view, mountain view, and lake view to choose from. The restaurant looks out at the garden or you could just eat the delicious food sitting in the balcony of your room. The menu ranges from quick bites to Indian main course and the food is fresh out of the oven. 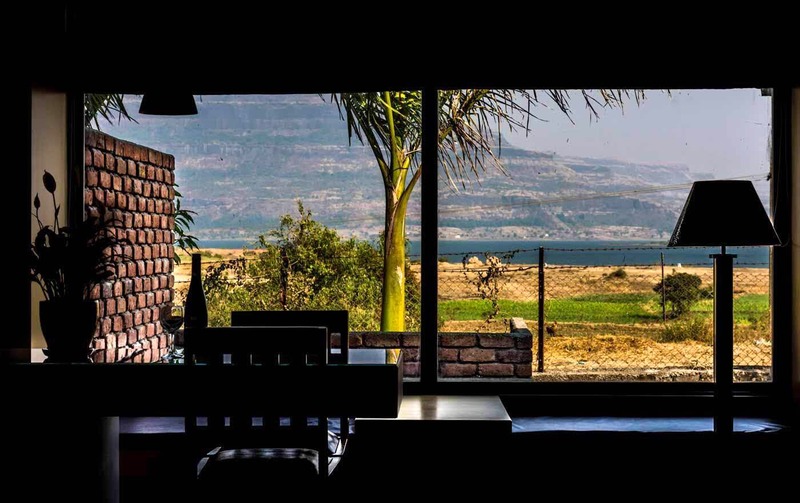 While the mountain view room looks up at the ghats which you can go to for a trek, the lake view room offers the view of the lake but is far from it. If you want a lake view room it’s best to book it well in advance since those are the first one to get booked out on most weekends. They don’t have a liquor licence so please call and ask if you can carry your own alcohol.